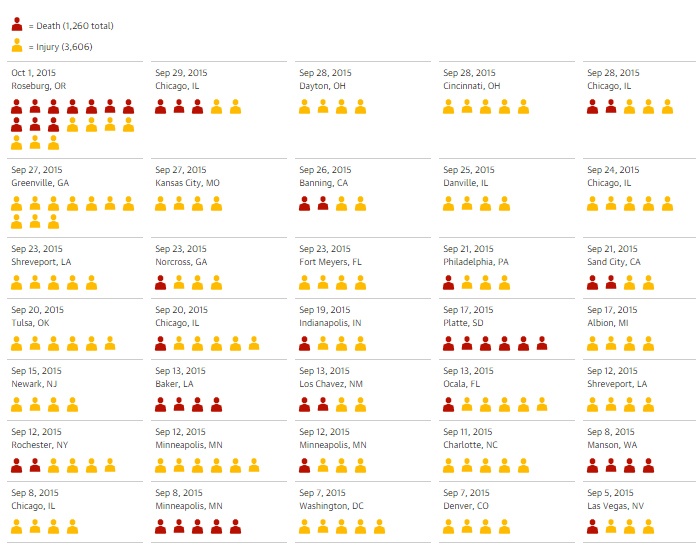 The Guardian has put together a graphic illustration of the number of people killed and injured in the 994 mass shootings in the last 1,004 days in the United States. A mass shooting is defined as four or more people shot in one incident. There is no other country even close to America. Click on the below image to see the complete chart.